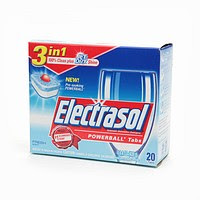 Home » Blog » Amazon Deal Blog » Electrasol .50! Finish/Electrasol Quantum, Powerball Tabs are only $3 at Family Dollar Store. Use $2.50/1 from Smart Source 7/12 and get them for only .50! Hurry because this coupon expires on 8/9. Thanks Fabulous reader Silvia for the tip!